1.1 Deposit: To confirm this booking a deposit of €400 must be paid to The Boogie Band. No booking is considered final until payment of a deposit is received. 1.2 Final Payment: The balance payment must be paid in full by cash on the day of the wedding. 1.3 Cancellation: In the event of cancellation or change of date of the confirmed booking by the client, the deposit is not refunded. The band will make every effort to move the performance date to another date requested by the bride and groom. The Boogie Band will provide all the equipment required for the performance. This price includes a regular setup of after 8.30pm. Where an early setup is required (before 8.30pm), an additional €250 is charged. The bride/groom can make a special first dance request that will be learned by the band where they think they can do the song justice. The bride/groom should give six weeks’ notice of this song. All travel and accommodation expenses to be incurred by the performers are included as part of the above price, with the exception of offshore island events. 5.1 The bride/groom is to provide a suitable performing area, with suitable power supply. 5.2 The balance due on the performance is payable in full by cash on the day of the performance. 5.3 Performance Time: The band plays for 2.5 hours, including a 20 minute break. Performance time should start at 9.30pm and is agreed 6 weeks in advance of the event date. Clients also have the option of one continuous set of 2 hour. For events that run late (starting after 10pm) the latest performance end time is 12.30am to allow enough time for the DJ. 5.4 The Band: Like any other job, people can change. This booking is for The Boogie Band as a whole and there may be changes within the band between the booking and performance date. 5.5 If and early setup is required and/or the venue is a long distance, the band may require a room to rest and/or change before the performance. This will be pre-arranged with the couple before the event. This agreement also includes a standard Force Majeure clause, whereby, this agreement by both parties to perform their obligations is subject to proven detention by serious illness, accidents, or accidents to means of transportation or acts of God, or any act of public authority, material breach of agreement by Purchaser, or any conditions beyond either party’s control. Neither party shall be liable to fulfil the remainder of the agreement unless expressly agreed by both parties for a convenient future time. 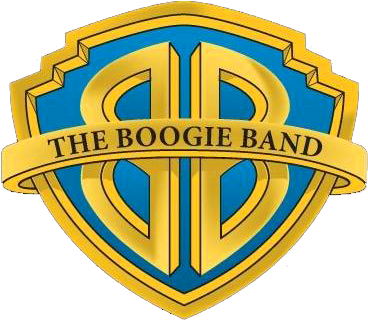 Address: The Boogie Band, Ted Dunne Entertainment, Glanmire, Co. Cork, Ireland.